Pra Pong Kong Chay Chum 2512 BE - Ajarn Kong (front side), Ajarn Tong Tao (rear face). Ajarn Tong Tao is the Boromajarn root Lineage Master of the world famous Khao Or magical tradition of South Thailand. This is said to have been the most powerful magical lineage of Masters in all Thailand, of all time. Especially in those days, the Lineage and the Samnak was one single Lineage, and extremely powerful. This edition of amulet was made in three Pim in total; Pim Khun Phaen, Pim Song Hnaa (two faced, with Ajarn Kong and Ajarn Tong Tao, which were again sub-divided into two different block press designs 'Hnaa Yai' and 'Hnaa Lek'), and the Pra Pong Pim Taep Nimit. 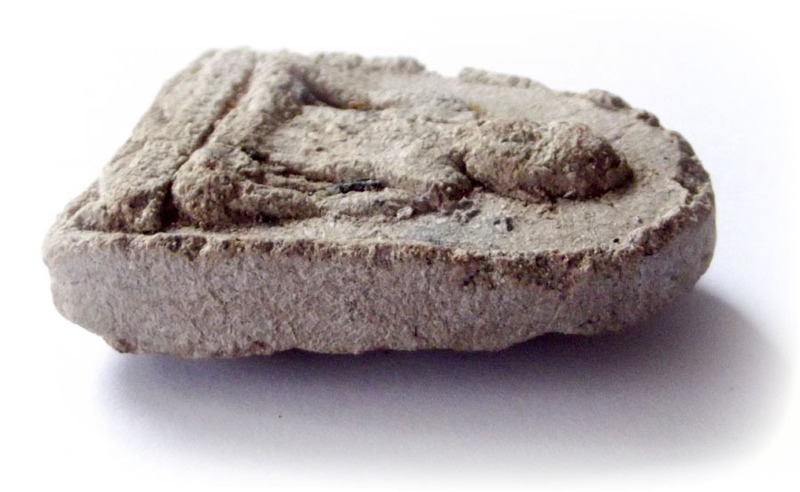 The amulets were made using 'Pong Gon Gru 108 Gru' - this is powder from 108 different 'Gru' (or 'Kru' if you like - a Gru is a chedi or other secret burial place where monks and master amulet makers will hide the amulets, to be later found and distributed as objects of faith and continuation of the Buddha Sasana). 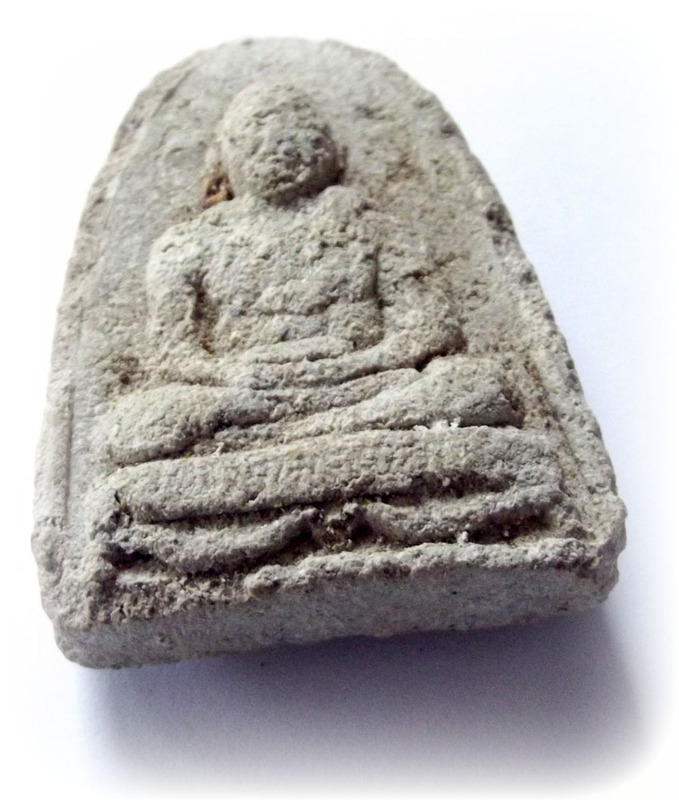 This sacred powder of 108 Gru was made by Ajarn Kong and famous Lay Master, Ajarn Chum Chay Kiree, which they had been empowering and chanting into since the war till the time they made the amulets. The powders included 500 types of sacred magical ingredients, including; Pong Ittijae, Pong Dtinisinghae, Pong Yant Bpatamang, Pong Yant Normo Pra Intr. We can offer free Waterproof Transparent Acrylic Casing with this item if you wish, merely select the option before checking out. All three Ajarns made the amulets with pure heart to distribute to the devotees who came to make merit in the ceremony for the building of the Uposadha shrine room of Wat Ban Suan. The ceremony began with Pra Ajarn Kong (Wat Ban Suan), Ajarn Chum began 'Pratap Song' (let the Deity, or spirit of Kroo Ba Ajarn lineage enter him). 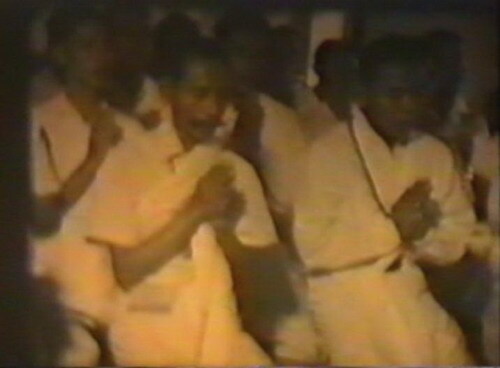 Many people attended, and even many Lay Ajarns in white attended (over a hundred). 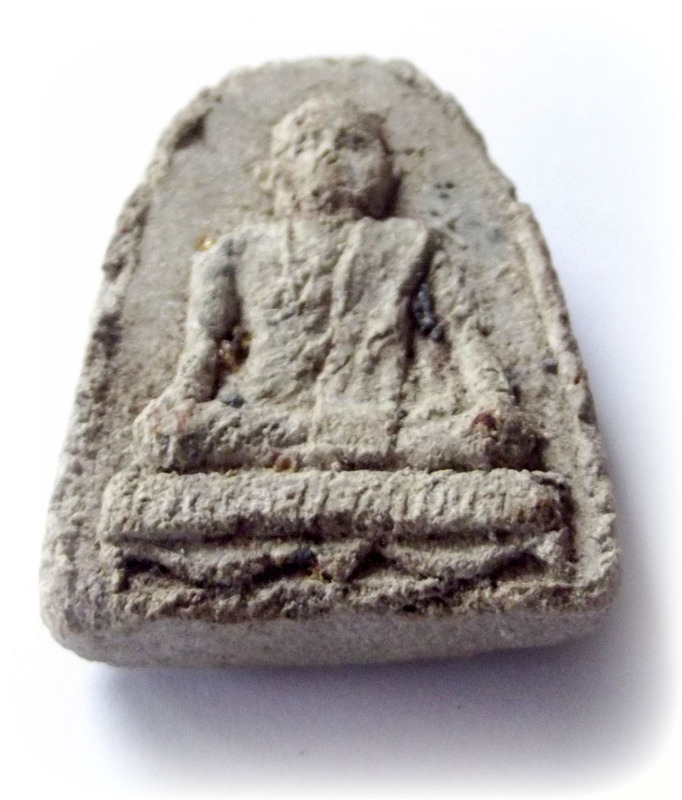 The first amulets were pressed about 10:00 am, and after about 20 amulets were pressed,. 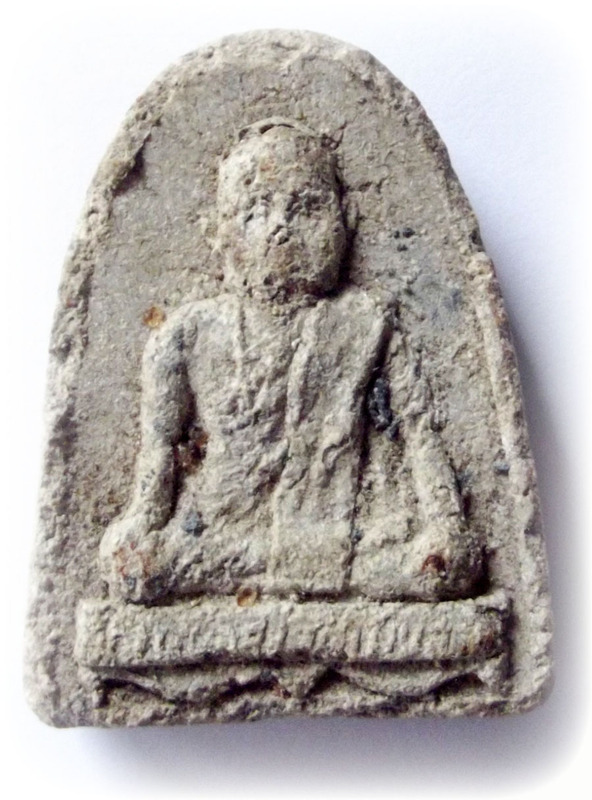 Ajarn Chum entered into trance and became the spirit of a young boy, who then ordered to take the amulets that had been pressed down and to shoot at them with a gun to see what happened. What happened then, was that the local village chieftain (Local 'Gamnan' of Tambon Makok Nuea), Mister Pum Sema Tong, took the amulets which were still wet down from the press, and stuck one on the trunk of a tree behind the Uposadha shrine room. He then ordered Mr. Nueang Paetch Suwan to shoot at it with his .32mm revolver, with all the crowd looking onwards in astonishment at what was happening. He shot three shots, but not one single bullet would shoot from the gun. Not one shot went off. 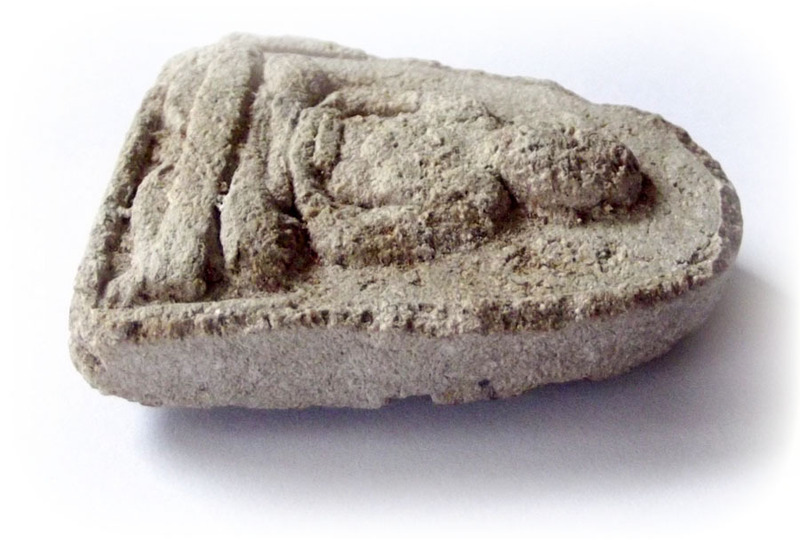 The amulets were given Puttapisek empowerment between Friday 1st to Saturday the 9th May 2513 (a nine day ceremony). 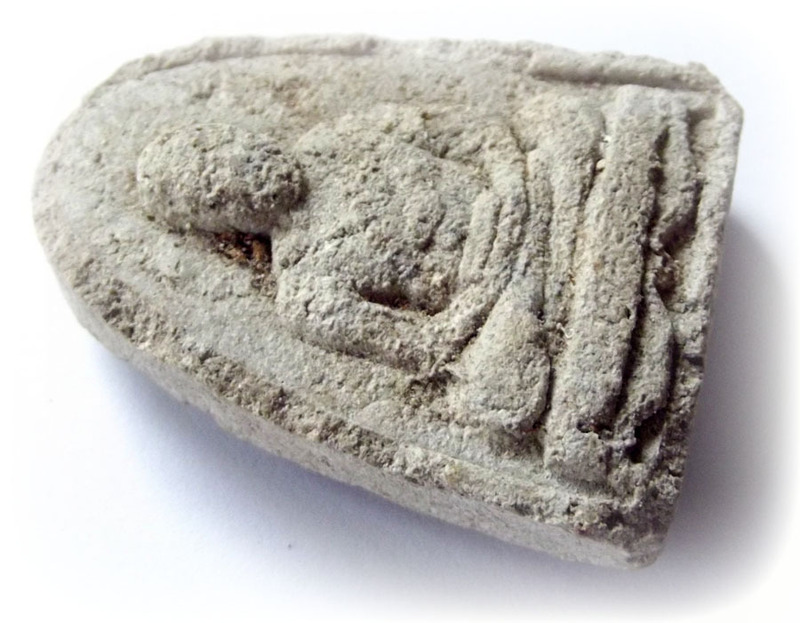 Almost all of the amulets were in white sacred powder, but for some reason, a very few were made in black powder, but so few that they are an extreme rarity to find one at all. 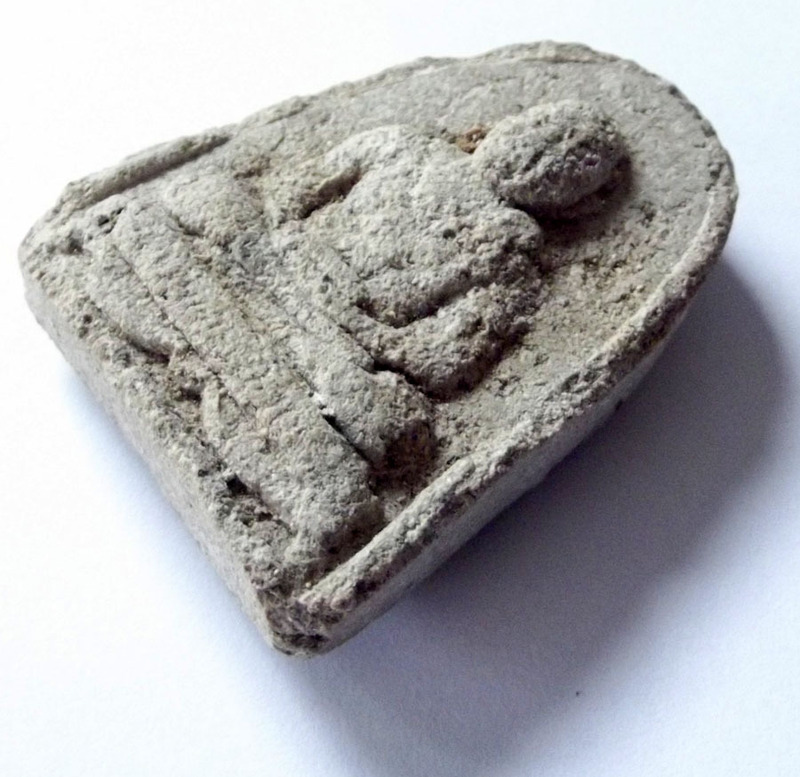 There were two block presses which were slightly different images; Hnaa Lek, and Hnaa Yai (small or large face). A classic famous and miraculous amulet which was put to the test in front of hundreds of onlookers, and passed the test of power. Made from one of the greatest and most powerful laymasters of all time, who was Ajarn to many a great Master Monk in Wicha Saiyasart. 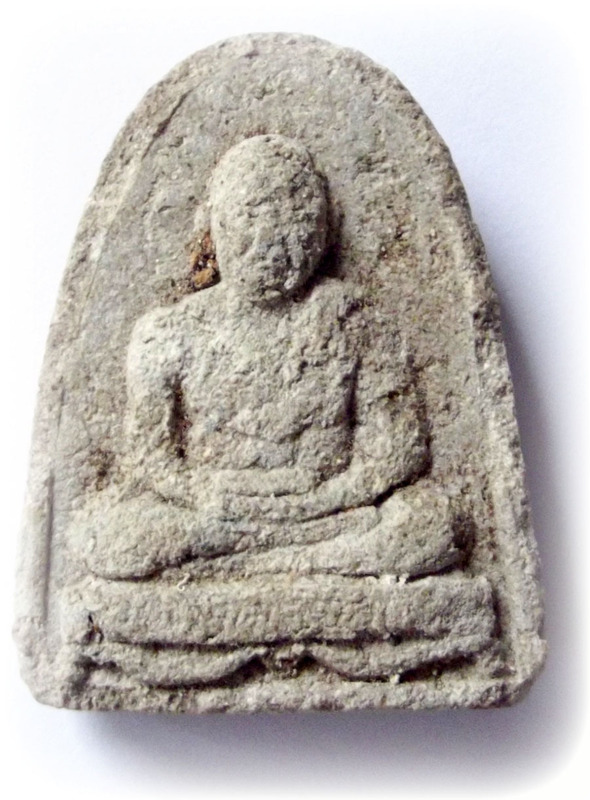 Below Video - another amulet empowerment which Ajarn Chum made with famous creator of the Jatukam Ramathep amulet which was the source of many miracles; Khun Pantaraks. Size of Amulet:I Oz. Bottle.